It's only 6, but it's a start. On Earth Day (aka April 22), 6 Nissan LEAF taxis will hit the streets of New York City in search of folks in need of a lift. 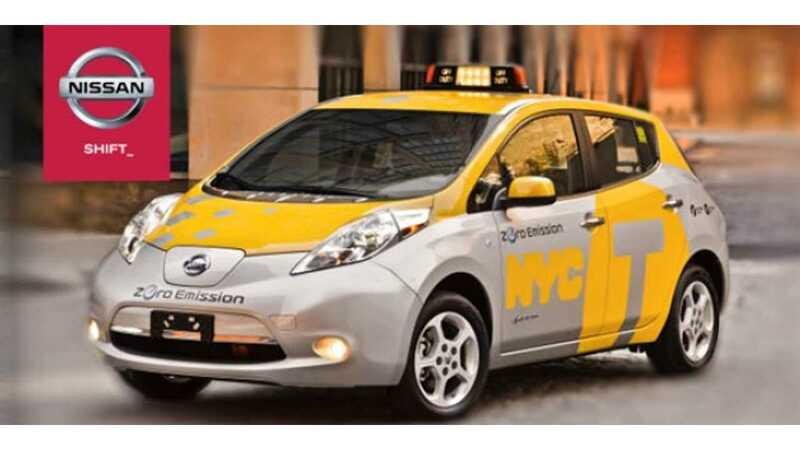 As part of a field study/trial/pilot test the LEAF taxis will "will enable Nissan, the city, the taxi industry and the public to learn more about how to integrate electric vehicles as taxis." As you might of expected, Nissan will provide the LEAF free of charge and will install a few quick charge stations to support the initial rollout. 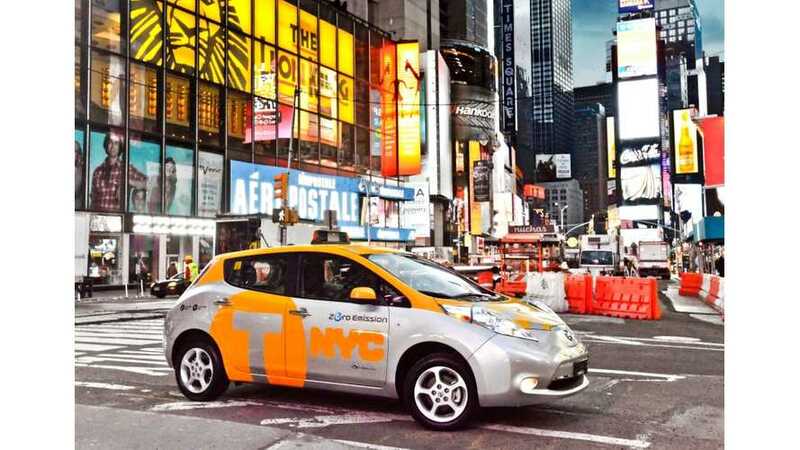 The LEAF taxis will be in the hands of owner-operators, as well as under the guidance of taxi fleets in NYC. Sure, it ain't all too exciting to learn that only 6 LEAFs will join an estimated 13,237 taxis in NYC, but way back in the day (1907 to be exact) a startup named New York Taxicab Company followed a similar approach by introducing a handful (65 vehicles imported from France) of gas-fueled automobiles and bit by bit NYC's horse-drawn carriage taxis faded away into the past. Maybe the past will repeat itself.